The Health curriculum in the Junior Division focuses on self-awareness—understanding personal strengths, recognizing sources of stress, making decisions, and evaluating choices—as students acquire knowledge and skills related to healthy living. Sometimes picture books can be overlooked for Juniors as a way to open up discussion of these vital concepts—but in this list, we take advantage of them. 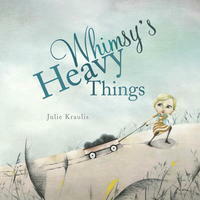 Whimsy’s Heavy Things, by Julie Kraulis, with its beautiful dream-like illustrations, is the story of Whimsy and all that weighs her down. The heavy things look like black balls (the size of bowling balls). She tries sweeping them under the carpet, ignoring them, sinking them, but they always come back, causing even greater problems. Finally, she thinks of breaking them into smaller pieces—i.e. into marbles with her friend—thus, making her heavy things lighter. 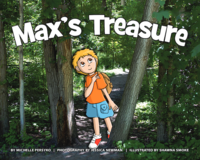 Max’s Treasure, by Michelle Persyko, photography by Jessica Newman, illustrated by Shawna Smoke, begins with Max hiking in the forest looking for treasure. As he walks, he meets several animals who are mean to him. The squirrels say he can’t run as fast as them. The swan scolds him for having muddy shoes. He carries their words, along with his found objects in his backpack, which becomes too heavy. A duck helps him rearrange the words in his pack, so that on the return journey he’s armed with positive comebacks to the same creatures. His backpack becomes light enough to put aside so he can play freely. Although it has a primary feel, this book has a message for even the grownups in the room. 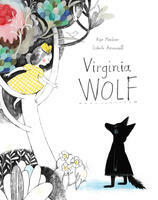 Virginia Wolf, by Kyo McLear, illustrated by Isabelle Arsenault, is a story about sadness and depression, somewhat disguised, in this empathic story about a sister trying different ways to coax her sister out of her “wolfish” mood. While Virginia refuses to get out of bed, her sister paints a colourful world named “Bloomsberry” where a snail moves across the earth and climbs a mountain without realizing it, and where Virginia can be herself. This complex and rich text allows for thoughtful discussion in the junior grades. 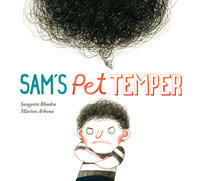 Sam’s Pet Temper, by Sangeeta Bhadra, illustrated by Marion Arbona, shows Sam acquiring a new friend—a pet temper—who comes out particularly when Sam is required to wait or be patient. Sam doesn’t mind the new friend, until the temper begins to get him in trouble at school. Sam tries a few strategies: counting to 10, saying the alphabet backward, taking deep breaths. Finally, he gains control of his pet temper, who eventually moves on. This is a fun way of looking at what strategies can help us when we’re angry. 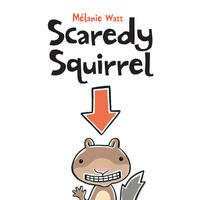 Scaredy Squirrel, by Melanie Little, is a humorous dialogue-starter about fears, making plans, the safety of sticking to predictable schedules, and how, when life offers something unpredictable, a person can adapt—when a killer bee stings, Scaredy Squirrel leaps out of his comfort zone and discovers resilience. 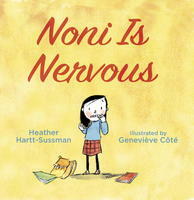 In Noni is Nervous, by Heather Hart-Sussman, illustrated by Genevieve Cote, Noni is a chronic worrier. Thunderstorms, dogs, monsters, and now, school, are all sources of anxiety. She bites her nails, twirls her hair. Then she makes friends with Briar, an outgoing girl, which makes things a little better. Briar introduces Noni to more friends until she is so immersed in school life her worries start to fade. This is a great book to talk about transitions and the benefit of distractions. The Liszts, a beautifully styled, clever picture book by Kyo Maclear, illustrated by Julia Sarda, is also about letting go of fear. Each member of the Liszt family is a list-maker. Mama catalogues illnesses and great soccer players. Papa accounts unwanted chores and insects with wings. Frederick lists fun things. Winnifred is into “Top Tens,” and Edward, the middle child, has lists that last 31 pages. Sundays are listless, but otherwise, there is no room for what is not written down. One day Edward leaves the door open for possibility and a visitor enters who is not on any list, igniting Edward’s curiosity. 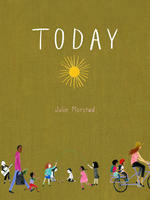 Today, by Julie Morstad, is chock-a-block full of miniature drawings, each page like a visual menu, beginning with: what to do today? Then, what to wear—from kimono to beekeeper’s hat. Next, the hair—donut braid or double ponies? What about breakfast? Where to go? How to get there (push or be pushed?) A busy place vs solitude? Favourite flower—including the “I-Can’t-Remember-the-Name” flower. Things to do in your room? This smorgasbord of choices allows students to get to know themselves a little better in a world of overwhelming decisions. 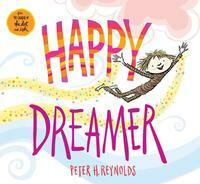 Happy Dreamer, by Peter H. Reynolds, is a positive affirmation book about being yourself, listening to the voice inside you, even when the world tells you to sit still and be quiet. Delightful illustrations give permission to flit from dream to dream, with a fold-out centre with four dozen different ways of being happy. 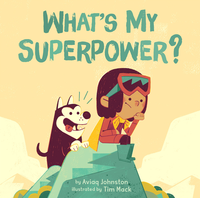 What’s My Superpower?, by Aviaq Johnston, illustrated by Tim Mack, is set in the Far North. Nalvana always dons a yellow cape and snowmobiling goggles atop her head as she searches for what makes her special. Davidee can run faster than a skidoo. Maata can swing high and jump off the swing set. Joanasie can make any kind of inukshuk. Nalvana constantly compares herself to her friends until she realizes her unique talent. Again, this one has a primary feel, but the way Nalvana compares herself to others is universal. Where Oliver Fits, by Cale Atkinson, is a more metaphoric version of What’s My Superpower? 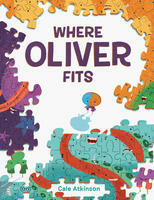 Oliver, a puzzle piece, disguises his edges to be able to fit into existing puzzles. When this strategy doesn’t work, he learns it just takes time to find your people. 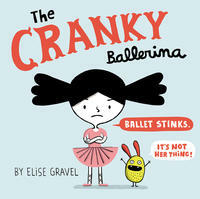 Also about struggling to find one’s place in the world, The Cranky Ballerina, by Elise Gravel, finds Ada forced into ballerina lessons, when she’s actually more of a karate girl. Both books bring home the essential lesson: being yourself is key to a sense of belonging. The following two titles are about parents who struggle with mental illness. 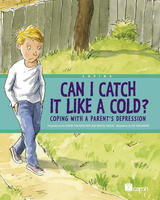 Can I Catch It Like a Cold: Dealing with a Parent’s Depression, by the Centre for Addiction for Mental Health, illustrated by Jo Weissmann, is the story of a boy whose father sleeps a lot, doesn’t work, doesn’t go to his son’s soccer games anymore, and argues with his mom. The boy thinks it’s his fault. He meets another girl at soccer who has a mom who’s also depressed. They talk about the symptoms they see. Inspired by her mom’s treatment, the boy talks to a professional and sees it makes a difference. This story is filled with positive messages, along with relevant information pitched at children. At the back is a message for parents about the benefits of talking about depression. This one is very specific and targeted. Also by CAMH: Wishes and Worries: Coping with a Parent Who Drinks Too Much Alcohol. when they’re sad, when they’re mad, when they’ve had a bad day . 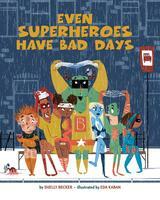 . .
because REAL Superheroes just WOULDN'T—they WON'T! A unique hardcover picture book for two to five year olds, this is the story of a lovely little girl who is nervous about many things. Noni finds a way to control her nerves and work through her anxiety, making life much more bearable for everyone! Bestselling creator of The Dot inspires readers of every age to find their own unique path to happiness. In his Scholastic debut, picture book and creativity guru Peter Reynolds brings us a universally poignant celebration of the colorful spectrum of what it means to dream and the many ways to find happy! In partnership with the Centre for Addiction and Mental Health (CAMH), Tundra is proud to launch an important series of books for children who have to cope with adult-sized problems.